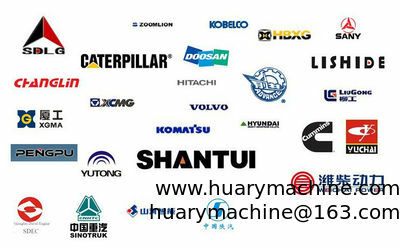 The main business of our company is to provide kinds of construction machinery and spare parts. For LIUGONG, SEM, SDLG,XGMA, FOTON, the ISUZU, CUMMINS, SHANGCHAI WEICHAI XINCHAI,DACHAI,YANGCHAI,CHAOCHAI,YUCHAI engine parts. ZF, ADVANCE, FAST transmission parts. We can provide kinds of parts for you in the shortest time with good quality and best price with best service.